Every apartment has it's own private entrance and in front a terrace with wooden furnitures to make your Spanish nights unforgettable. While enjoying the beautiful view over the lake you can prepare a little tapas and not to forget enjoy the taste of delicious Spanish wines. Just outside your apartment we have made a little herb garden and you are more than welcome to use a tuft of tasteful Rosemary or Oregano in your cooking. 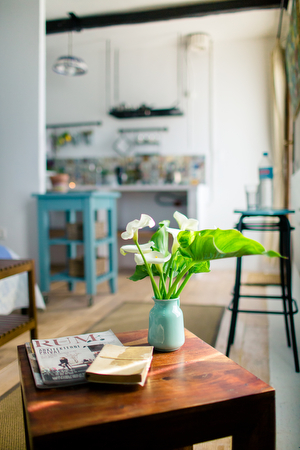 The apartments are clean upon arrival and there are a few utensils if you want to clean up during your stay. We charge an extra fee at the end for cleaning at departure of euro 49,- each apartment. We provide you with bedlinen, towels and duvets for summer and winter. The bedlinen gets changed at arrival and once a week if the stay is more than one week. Towels are changed twice a week. We would only ask you to bring your own towel for use by the lake. Our finca offers relaxing holiday accommodation in six separate self-catering apartments for two people with a double or two single beds. 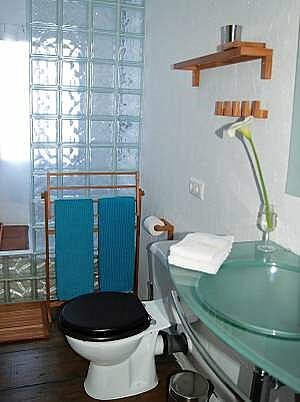 The apartments are comfortably furnished and the Spanish charm is well kept. All with a well-equipped kitchen with four-burner hob, frigde with freezer, table setting for four people and an equipped bathroom with shower. To make your arrival comfortable we provide you with a little welcome pack to make your first day easier. Kitchen with fridge and a four-burner hob. Bathroom with shower, toilet and washing arrangement. 2 beds or double bed in north european measures; 200 x 160 cm. Terrace. Own terrace or balcony. Lake view from own terrace/balcony. No smoking inside in the apartments. Click here to see the pictures 1st floor apartments. Click here to see the pictures ground floor apartments. Bright, restored holiday apartments with large terrace and magnificent lakeview. We care about the details and decoration of our holiday apartments. They have lots of light, wooden furniture, original details and fabulous views. bright holiday apartment terrace view original style decoration. 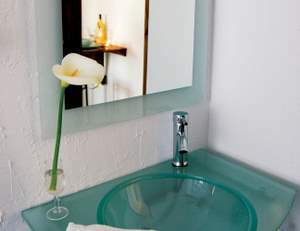 Fine, bright, stylish holiday apartments with wooden furniture and original details maintained. Fine details in our recently restored holiday apartments. Recently restored holiday apartments with wonderful views of the lake.